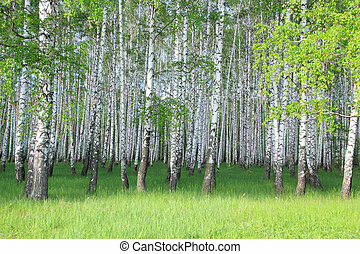 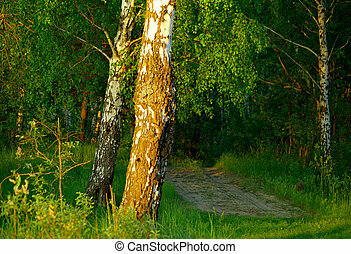 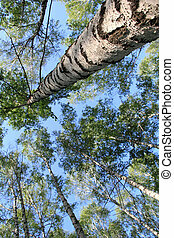 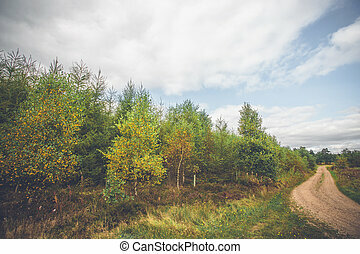 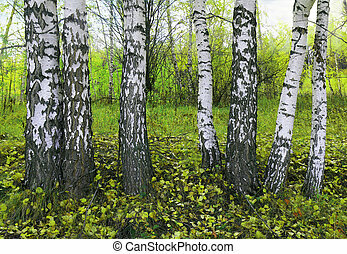 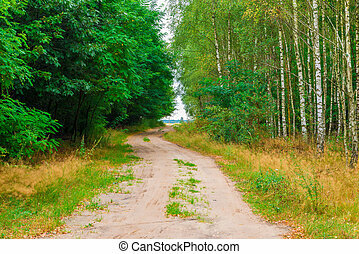 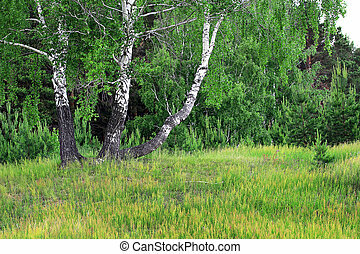 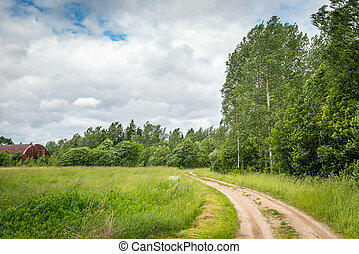 Road in a birch grove. 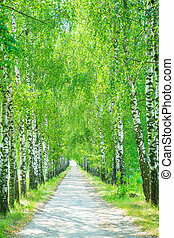 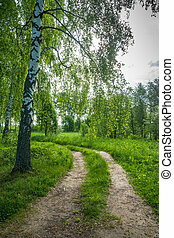 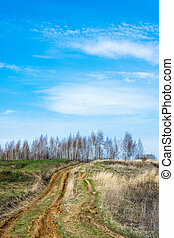 Road in a spring birch grove. 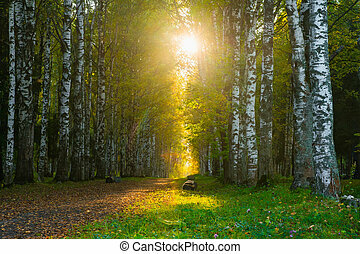 Footpath in the birch grove on a sunset. 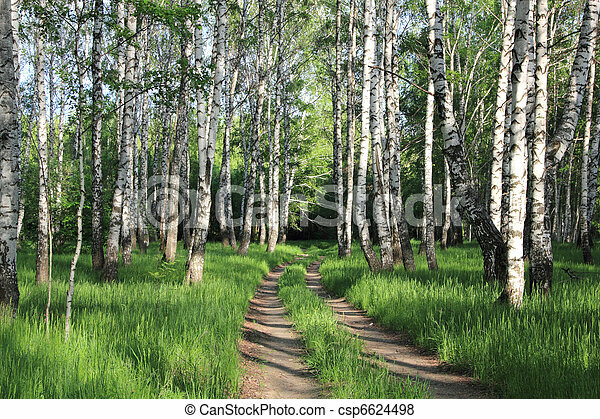 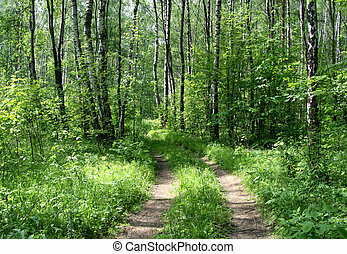 Forest road on the edge of a birch grove in a Sunny summer day. 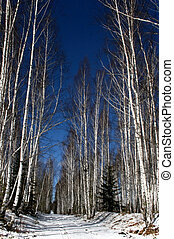 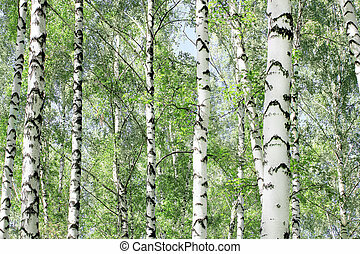 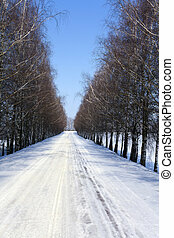 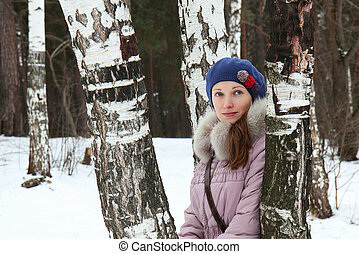 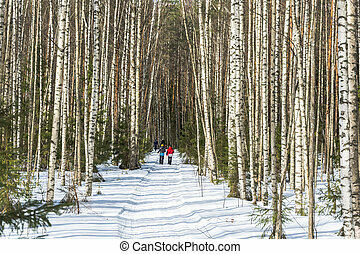 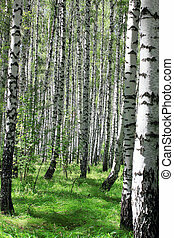 Tourists go on a snowy forest road among tall and slender birches. 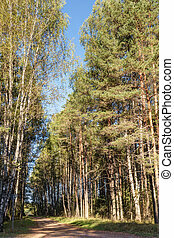 Broken dirt road leading to the birch grove in a Sunny day in May. 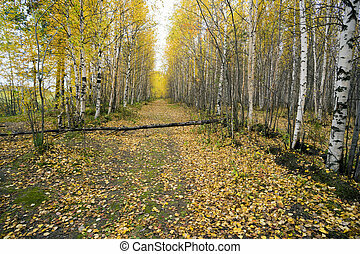 Golden autumn in the birch grove on a cloudy day. 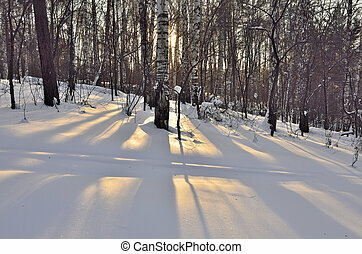 Golden rays of the evening sun and long shadows of birch trees in the snow.